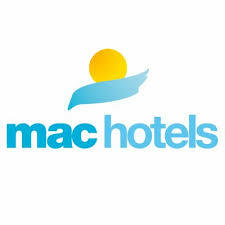 (i) Mac Hotels Private Limited at Panaji, Goa was Incorporate on December 20, 1990. The Company is primarily engaged in the business of owning, operating and managing hotels, restaurants, and resorts in Goa since last 25 years. The company has been incorporated with the main object to carry on the business of hotels, restaurant, café, caravan site, apartment house-keeper etc and related services. Our Hotels and Resorts are tourist destinations for domestic as well as international tourists and are one of the frequented hotels in Goa. (ii) The company has entered into Management Services Agreement (OYO Agreement) with Alcott Town Planners Private Limited on September 09, 2017 for providing the services such as – Managing the day to day operations of the property, manage maintenance and supervision of the property, providing food and beverages services. Objective of MAC Hotels Limited IPO are: The object of the Offer is to achieve the benefits of listing the Equity Shares on the Designated Stock Exchange and for the sale of 8,10,000 Equity Shares by the Selling Shareholder (“Hotel Miramar Comfort Private Limited” or “HMCPL”). Further, The Company expects that the listing of the Equity Shares will enhance our visibility and brand image among our existing and potential customers and provide liquidity to the existing shareholders. Our Company will not receive any proceeds of the Offer and all the proceeds will go to the Selling Shareholder. just an exit route for ofs with no money going to company. This should have never been allowed in SME to get exit route for promoters. No harm in skipping this IPO. The SME portal was established in the year 2012 to help small companies to raise credit from the market for their expansion because getting a credit from banks was difficult. However, no one would have imagined that within 5-6 years an SME platform will be used as an exit path for the existing owners in the company. The day SME IPOs started coming up with an OFS the whole purpose of SME platform is defeated. 1. No moat in the business. Simply running a resort in Goa which is present thousands in numbers in Goa. The competition is quite immense. 2.Stagnant growth in the Profit in the last 5 years. 3. It is pure OFS. Nothing will go to the company. 4. The Issue is offered at very high Valuations. Conclusion: How on earth such companies even think of in their wildest of dreams to come with an OFS at such an exuberant valuation. (i) The Company has issued 26,48,000 @Rs.10 shares to Hotel Miramar Comfort Pvt Ltd on 31st March 2017 to purchase a property against equity shares. Now the Interesting part is the same company is offering to sell its shares in the OFS. (ii) The Board of Directors of Hotel Miramar Comfort Private Limited have, by a resolution passed at its meeting held on May 07, 2018 authorized to participate in the Offer for Sale by offering 8,10,000 Equity Shares. (iii) The Shares are offered at Rs.24. That means a profit of 1.13 Cr on investment of 81 lakhs for Miramar Comfort Private Limited. Mac Hotels Limited operates Resort Park Avenue near Calangute Beach, Goa since year 2013. It is spread over an area of 3225 Square metres. It consists of rooms, multi cuisine restaurant, coffee shop, swimming pool. The accommodation consists of 50 guest rooms ensuring comfort and luxury. This resort is centered around the swimming pool with balconies overlooking the pool. The rooms at this resort are comfortable and spacious appealing to family and couples. The resort has the restaurant and bar of its own. The bar provides refreshment. A great setting to return after exploring the colorful roadside markets. Offer for sale and that too for such small amount. This shows the credibility of promoter/company. Company is not required to appoint a monitoring agency for the Offer.